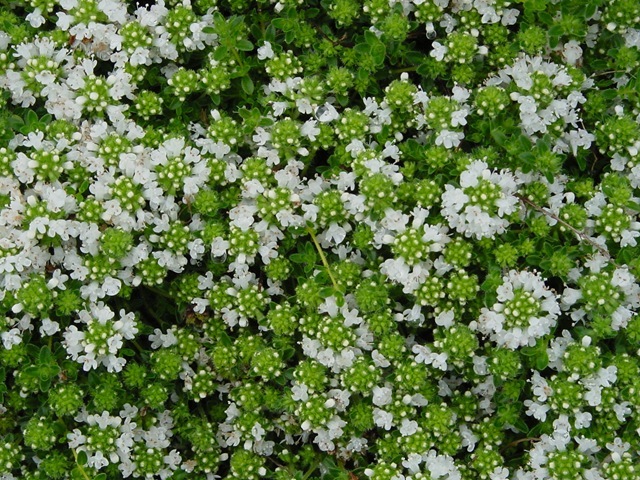 White Creeping Thyme (Thymus praecox ‘Albiflorus’) has soft aromatic foliage that is covered completely with white flowers in the summer, creating a snow-like effect. 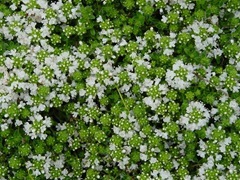 White Creeping Thyme is a very versatile evergreen perennial that will cover dry slopes, creep around roses or work perfectly as a lawn substitute. Thyme is deer resistant and very drought tolerant. Do you sell white thyme seeds? I am sorry but we do not sell any seeds. 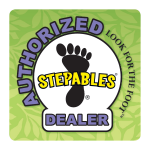 We sell finished plants ready to plant in flower beds and gardens. We grow our White Thyme from cuttings taken off stock plants. Sorry we couldn’t help. Please let me know if you have any questions.